Give a gift in-honor of someone special. Give a gift in honor of a family member, friend or a special individual in your life. 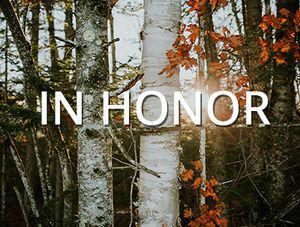 Honor a person you care about while supporting the values of conserving the extraordinary natural resources of the Adirondacks.